Designed for the smaller coupe and hatchbacks, the Pirelli Winter 190 Snowcontrol series 2 is part of the incredibly poular winter line up of tyres from the Italian tyre giant. 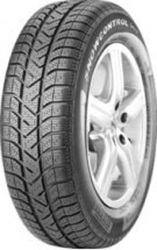 The 190 Snowcontrol series is a wintertyre designed to offer maximum traction and grip on snow and ice covered roads. The High level of silica used in the make up of the tyre allows perfomance to be consistent on both dry and wet conditions. Studded centre blocks with wide open shoulders allow for the rapid dispersal of water and mud enabling traction in the most difficult of conditions. The tyre combines the ACT, adapative compound technology to adapt the tread to the road conditions allowing for even tread wear and a longer lasting tyre.